The Ridgefield Historical Society is pleased to announce a tour and lecture at the John Jay Homestead, 400 Jay Street, Katonah, NY, on Saturday, March 23 from 1 to 3 pm. Just 20 minutes west of Ridgefield, the John Jay Homestead is the place to which Founding Father John Jay retired in 1801 after decades of public service. He had served as President of the Second Continental Congress, principal negotiator of the Treaty of Paris, Secretary for Foreign Affairs under the Articles of Confederation, and the first Chief Justice of the United States. 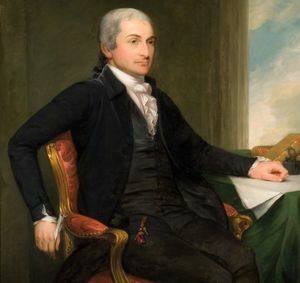 The tour will focus on the years of his residency (many of the Jay family furnishings remain within the house) and the lecture will touch on Jay’s relationships with Washington, Hamilton, Franklin, Adams, Jefferson, and Madison and his work as a diplomat, jurist, and prominent citizen of the Founding Era.